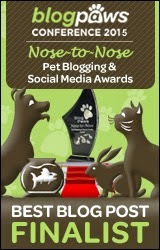 Last year, I signed up to join the Pet Blogger Gift Exchange. I had so much fun with it that I had to join again. And I am sure glad that I did! The Pet Blogger Gift Exchange is hosted by Something Wagging This Way Comes and I Still Want More Puppies. 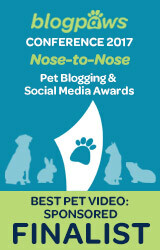 One of the best gifts a pet blogger can receive is social media love and attention. I was paired up with another random pet blog who also joined the event. I am pleased that the blog is new to me because I always enjoy making new friends and finding awesome new blogs. So, let me tell you about the fabulous blog I was paired with. Blog header from Cattle Aussies. 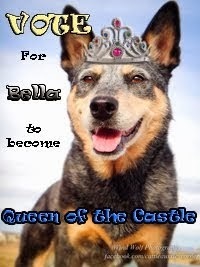 The blog is Cattle Aussies written by Tiffany and it stars Bella, Terra, and Kronos . Let me just say that all of these dogs are amazing! This video from their YouTube channel will show you just how awesome. See what I mean? While these guys have only been blogging since September, they have been on Facebook for quite a while it seems. I love their Facebook page! (Which you should visit and like, by the way.) The photos they post are amazing. Post by Cattle Aussies Corner. This photo is embedded from their Facebook page and it's Kronos working on a new ladder trick. What a smart pup! The Cattle Aussies are also on Instagram, and again, they have more amazing photos there that they share regularly. Here's one of Terra the Australian Shepherd that is stunning. She's a gorgeous dog. This photo is embedded from their Instagram, which you should also totally follow. And I can't forget cutie Bella with her adorable brown eyes. 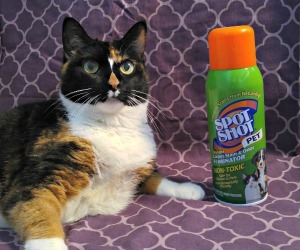 She's in a contest right now to become "Queen of the Castle". She definitely looks like a queen, so be sure to stop by and vote for her. I believe voting ends on December 25th. Click here to vote for Bella. The Cattle Aussies are also hosting a super cool giveaway right now for a free PetBox. It's a box filled with lots of fun goodies for dogs. You should enter by clicking here. So anyways, I've only been following the Cattle Aussies for a few weeks now but I already can't wait to learn more about the crew and see what kind of amazing tricks they come up with next. If you're not following them yet, please stop by their blog and say hello! We had a very special Aussie friend and Aussie love is embedded in our hearts! Wonderful! Hope you enjoy it, but I am sure you will! Nice post and those are beautiful and smart doggies. They are so cute. We must check them out. Have a marvellous Monday. Oh we love the cattle aussies! They are a great group. She does kind of have that body structure now that I think about it. They are very nice doggies, I like them too. Oh what fun Dolly! You are a lucky pup to have an Aussie friend! That are such lookers and they sure made us smile! They sure have fun. We aren't a breed that is much interested in tricks, much too independent, but these guys are pretty pawsome! Hehe that's interesting Emma. Shiner seems quite independent (and stubborn) for new tricks lol. I never saw that blog before. Any exchange where you get loot is fun. Gorgeous dogs! Thanks for the intro to them! Wow, I hadn't been to their You Tube channel yet. Thanks so much for highlighting it. What a lot of fun. What a wonderful and generous post for the Pet Blogger's Gift Exchange. Great job! Thank you Pamela! Aren't they a pleasure to watch? OMD - that video is great! Loved your post and I enjoyed learning more about the Cattle Aussies… so glad you joined the gift exchange this year! You are very welcome :) No worries about me friends! Always great reading about other Aussie lovers! :) Her dogs are so talented and cute!